No free C&amp;C option for me. Just coming up with "£3.99 standard delivery"???? If you've never played it before, definitely worth picking up. It doesn't feel like an "old" game either. The Playstation exclusives are some of the consoles best games. There's some real gems here. I own most of the collection. Heat added. Look can be a very important factor, especially as a physical collector! If you want to put in the extra effort and risk for the cover, then go for it! Even better, you might be able to make a custom cover yourself? Great game, but really dragged at the later stage. Can't believe GS gave this a 10 and both BB and The Witcher 3 got 9. Da phuc? It's not about similarities but Gameplay loop. I agree some Creed games like Rogue and Black Flag are very similar, but comparing Origins to Black Flag and there aren't many similarities really. The Witcher 3 with its more open world and music feels very different compared to Witcher 1 and not just because of the age of the first. Yeah, i have played Odyssey and its drastically different from the 2 Galaxy games. All 3 of which (bar some of the boss fights) are awesome. What i mean is, you arent jumping around to the nearest bird poop covered ledge to escape the latest of the near death cinematic experiences. There is no skill involved, its adventuring by numbers. It's a great game, but could use a few hours being trimmed off here and there. For the price it's brilliant though! I’ve got loads from MM and everything is tested and works fine. Awesome game. I am replaying it and wow it looks and play awesome. I think it will just say 'Bundle Edition' on the packaging and may not have a barcode, which isn't a big issue unless you try to trade it in somewhere. Thanks, ordered! Only one I haven't played yet. 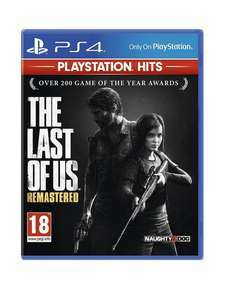 Not sure what "bundle edition" is Google has been no help on that one, hoping it's not a dl code as I only have a 500gb hdd and prefer physical copy. Great game! I need to finish it this weekend if it rains. I posted the deal, there are folk on here with a very personal agenda I kid you not. why is this so cold? i take that its not a good deal? 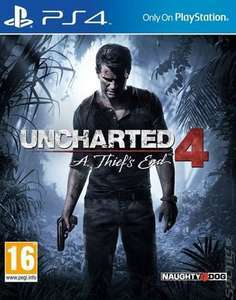 Never miss a 'Uncharted 4: A Thief's End' deal again! I’m playing a little bit of this in the evenings - not much time. Great game. Puzzles can be challenging with HDR 2K as it’s lower in brightness. Love this game. Masterpiece. Only holding onto my PS4 for this game, it's that good. God of war is simply brilliant! Heat...Love all the uncharted games and also looking forward to the last of us 2 :) unfortunately we don't play on the PS4 much nowadays but wouldn't mind playing god of war. Great game but yeah, you really needed to have played the rest of the series in order or it won't have that impact. Lost Legacy is good, if a bit short. Uncharted 2 is a masterpiece. Easily , the best of the 4. Great game, intensely nostalgic for those who have been with the series from the start, as there's many nods and references to previous games. This was an expertly crafted masterpiece and is a love letter to Uncharted fans. 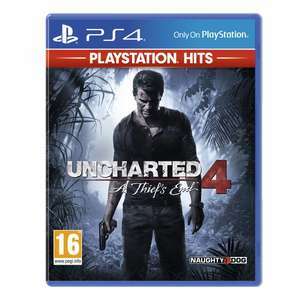 How much was nathan drake collection before this sale? That's why it's so good to deal in the 2nd hand market where they can't control the prices. Smyths have them both on 2 for £25 if that helps. Can't wait for the fail to be film to come out (flirt) . Doesn't everyone in the world have this game now? Price just went up to £13.74! Luckily I had it in my basket at £9.99. Can’t beat a bargain! 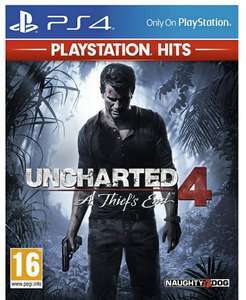 Seems like a decent price for Uncharted 4. Hope it helps someone out. Must be the cheapest the physical version of the game has ever been. Love the multiplayer. I'm rubbish at it but still enjoy it. A really good game and a bargain of a price! Brilliant game, I can only recommend it. Hoping the stores have good reductions on Black Friday. Strange you could do it from the PS4 and not from a PC. Grabbed one. Don’t normally like to buy 2nd hand but for this price can’t turn it down. Thanks OP.